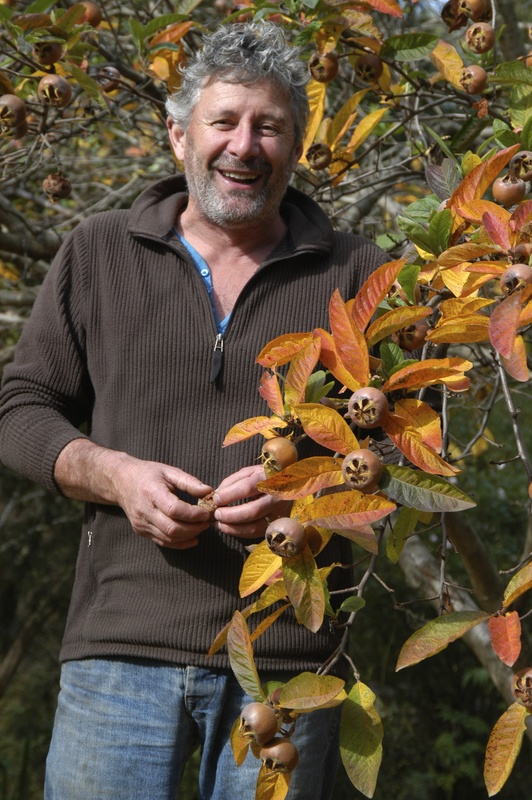 A garden tour with Stephen Ryan provides an insight into ‘unusual edibles’. 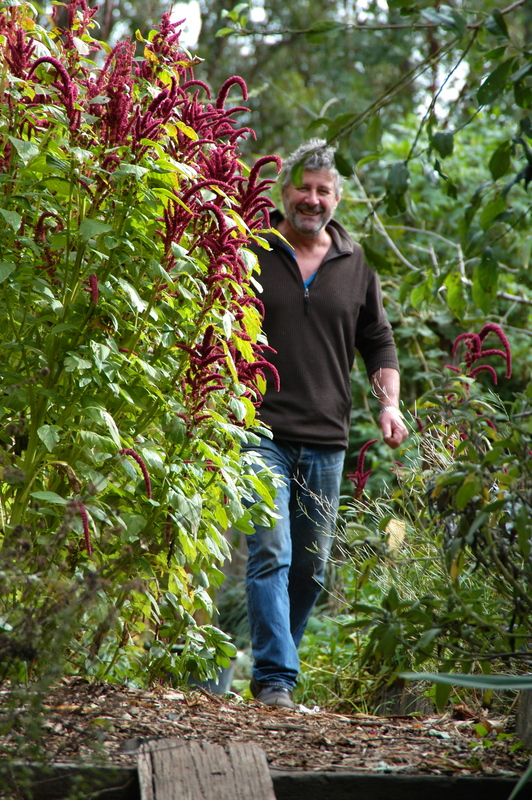 Time to share some of the work that I do … writing about the realms of science, sustainability and gardening. The latter is particularly good therapy – wandering around gardens, taking photos and interviewing people who are growing interesting things. It inspires me to try new things on the home front, and slowly my humble vegie patch is starting to transform itself into quite a productive food garden. I have even donned the gloves to help with the kitchen garden and sustainability programs at my son’s school, Preshil – but more about that in a future blog. An abundant vegetable garden, with towering amaranth – a source of edible flowers, greens and grains. 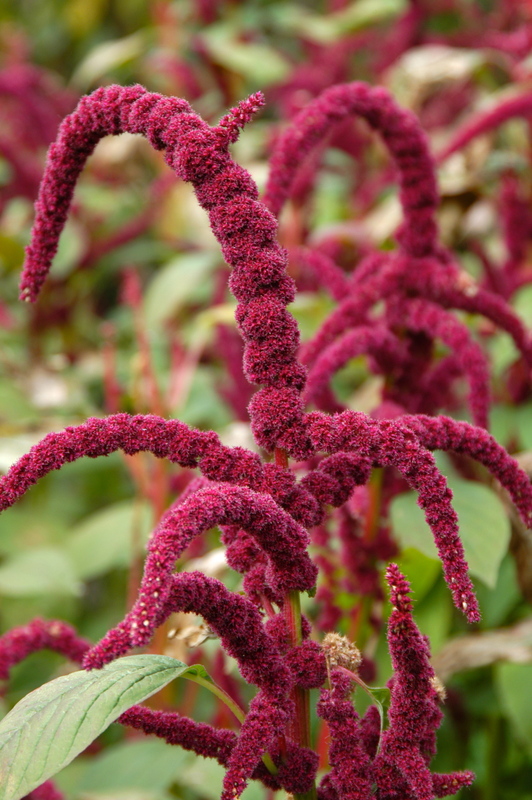 The vivid colour of flowering amaranth heads. 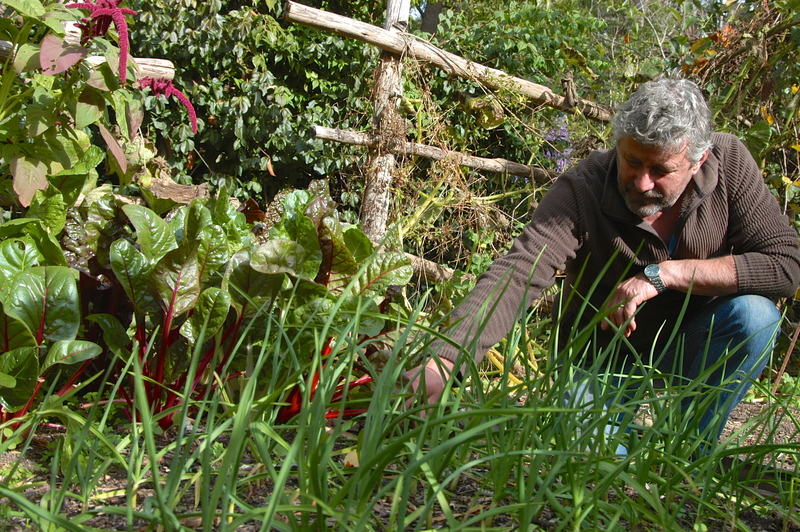 Today’s post is about magazine features … using the case in point: ‘In Conversation with Stephen Ryan”, which currently appears in the September-October edition of ‘Your Vegie Patch’ – a magazine all about growing your own food. I really enjoy contributing to this publication, especially features for the section on ‘Gardener Profiles’. At the end of each month (or two for bi-monthlies) there occurs the ritual changeover of magazines on newsagency shelves, so I am about to bid Stephen (and also a piece on ‘Caroline’s Courtyard’) farewell to make way for a couple of different features in the next edition of the magazine. At a time of high turnover, 24-hour news cycles and ever-present internet availability, magazines, unlike their newspaper counterparts, are tending to hold and even increase their circulation figures. This is due to a number of factors – including readership loyalty and the existence of niche genres – which is nice to see. 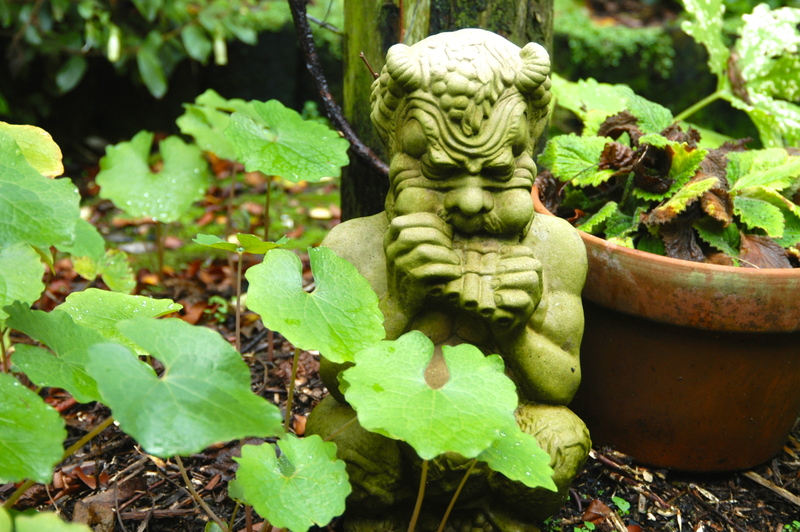 Stephen’s garden is full of meandering pathways and little surprises hidden around corners. Personally, I love writing and creating photographic features for the magazine format. I am definitely an advocate for this type of ‘slow journalism’ (think the ‘slow food’ movement and simply apply it to writing). 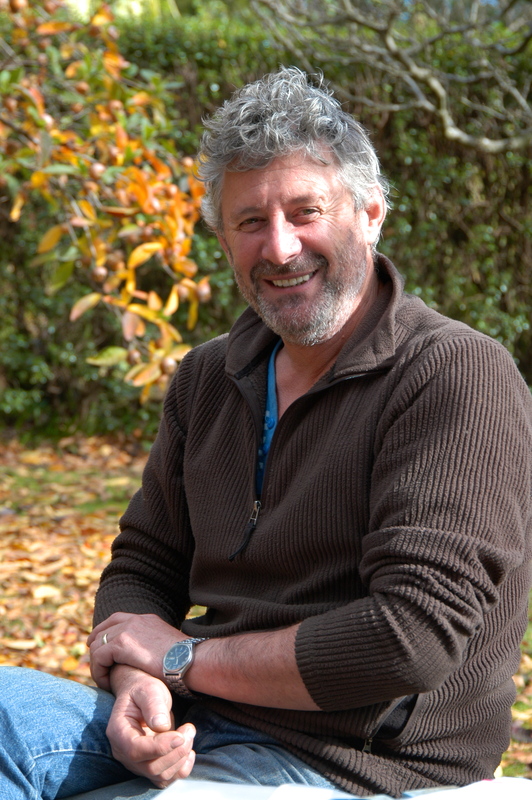 I first met Stephen Ryan, former host of the ABC TV series ‘Gardening Australia’, at an Open Garden Day in the Macedon Ranges, when I was farm sitting out that way. I went to visit his beautiful property, Tugurium, and we had an interesting chat during a tour of his garden. I quickly planned a return visit, camera in hand. The garden is a wonderful example of beauty and productivity – a real labour of love that is filled with all manner of rare plants, given Stephen’s expertise and interest in this area. He just happens to run the Dicksonia Rare Plants Nursery up the road. The unusual ‘medlar’ – a beautiful fruit tree or a productive ornamental – depending on how you look at it. 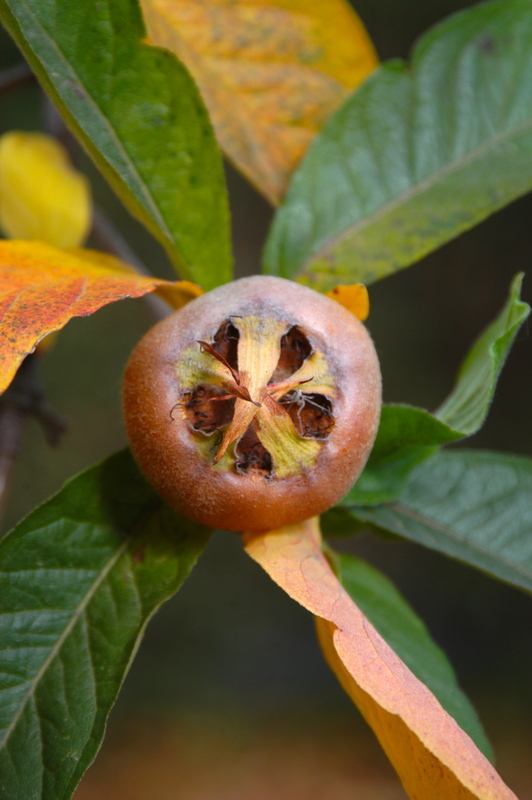 The medlar fruit is like a cross between a pear and a hawthorn and tastes somewhat like a baked cinnamon apple. Relaxing in a tranquil spot by the back pond. 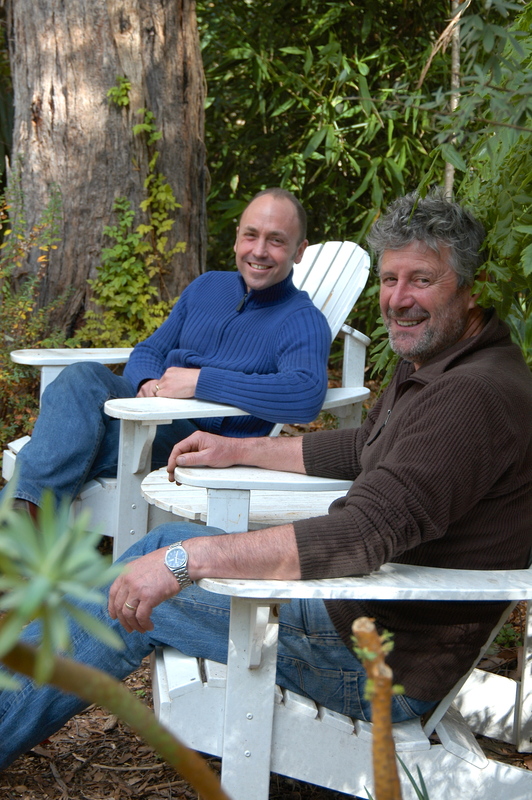 Stephen and botanical illustrator Craig Lidgerwood. Drawing inspiration from the garden, literally – one of Craig’s illustrations. 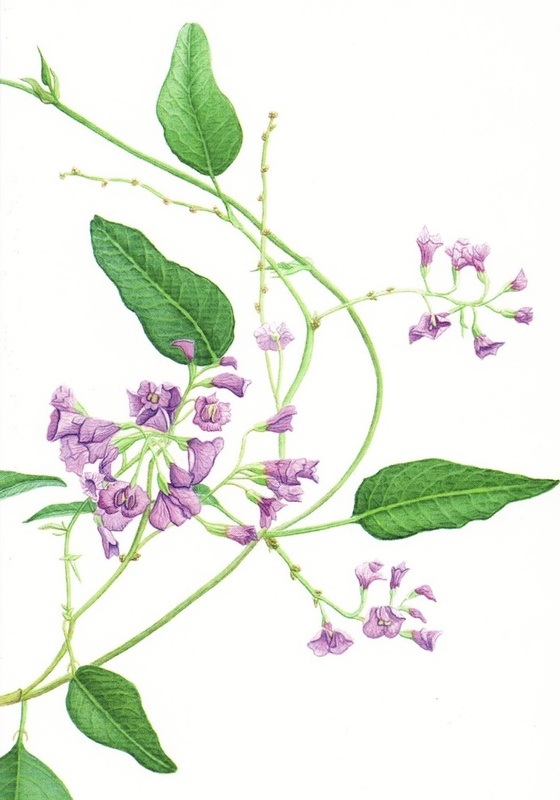 Hardenbergia violacea.